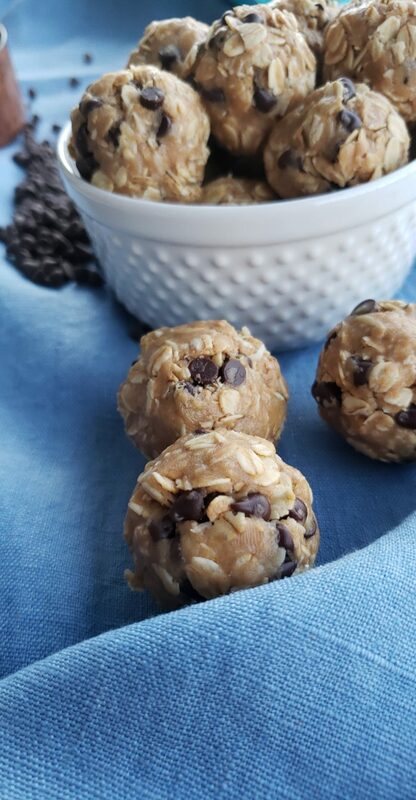 There are a lot of energy bite recipes out there, but the best one, in my opinion, is one that you already have all the ingredients sitting in your pantry. 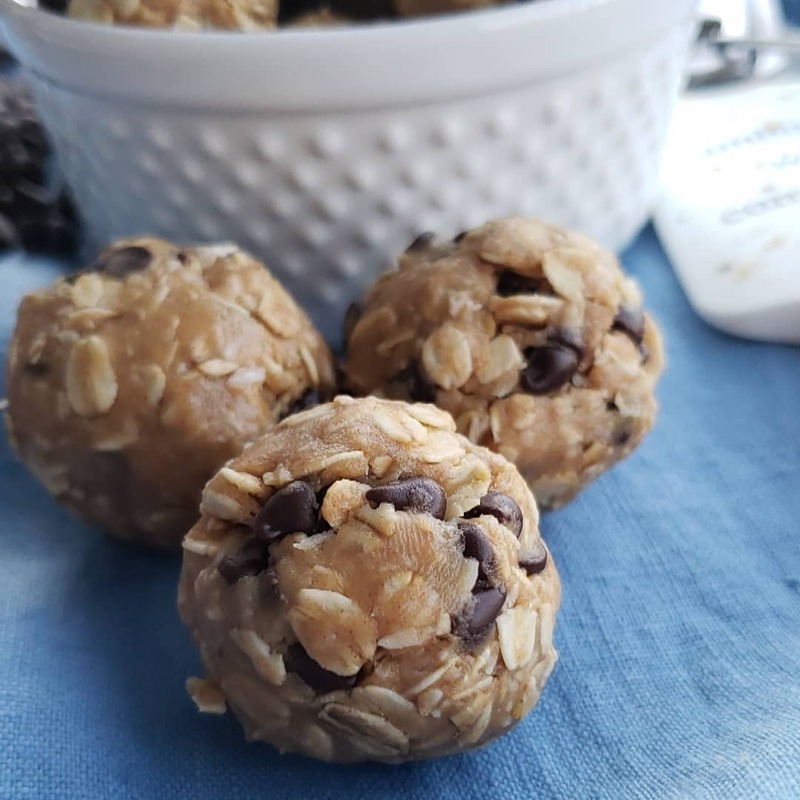 These little energy packed bites come together with just a few simple, wholesome ingredients, and they taste like a chocolate chip oatmeal cookie! In a large glass mixing bowl, stir together the peanut butter, raw honey and vanilla extract. Then stir in your oats, coconut and sea salt until well incorporated and then mix in the chocolate chips. 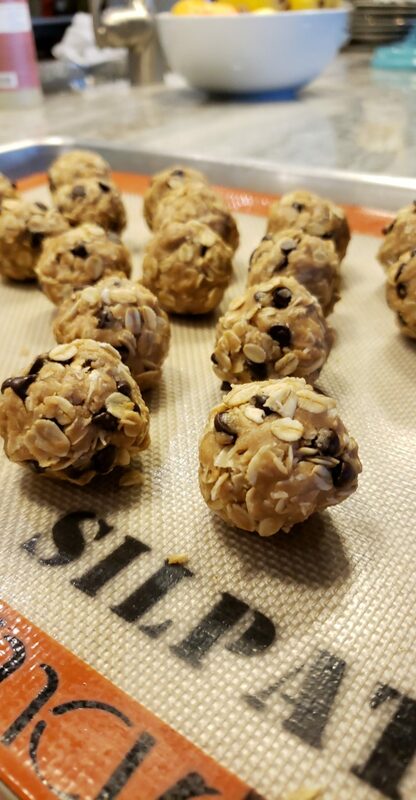 If your “dough” doesn’t hold together well when pressed into balls, add a tiny bit of coconut/almond milk, just a teaspoon at a time until it all holds together well when squeezed into a ball. 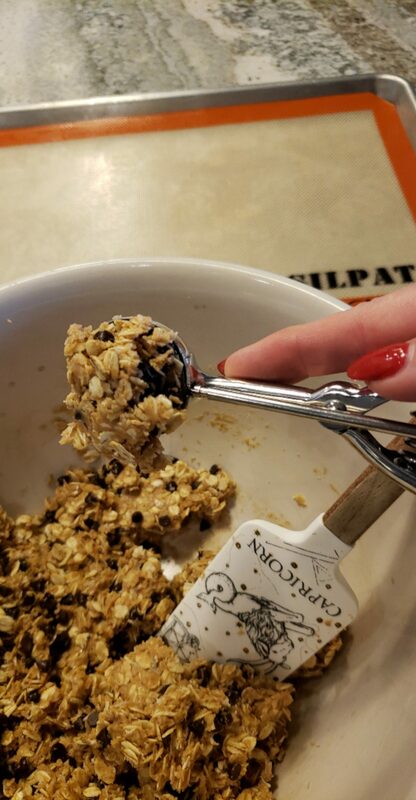 This is not an especially “doughy” mixture, almost more crumbly so you’ll need to squeeze the bites together pretty well to get them to hold together. 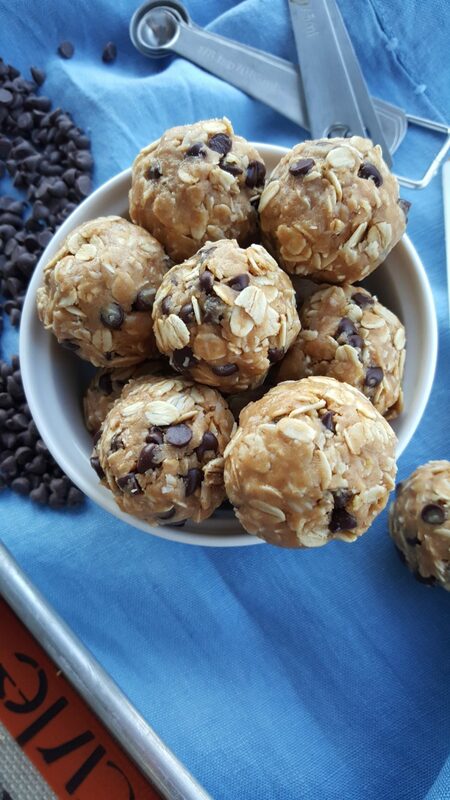 Form one inch balls by pressing about 1 tablespoon of the mixture together in your hands. 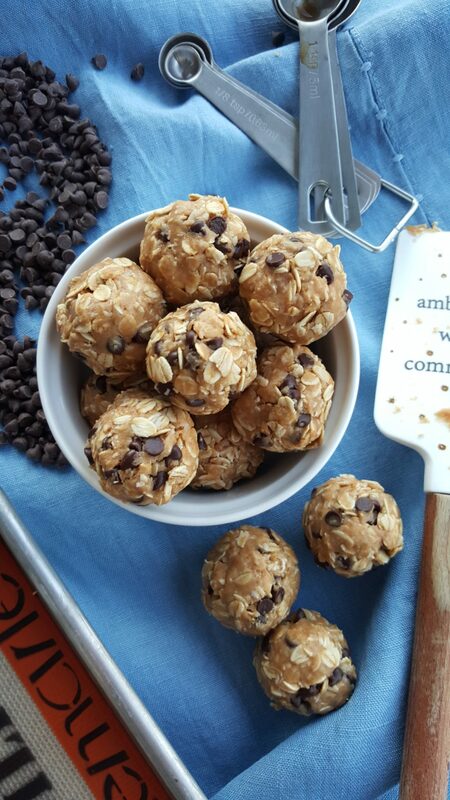 I used a Tablespoon cookie scoop to get nice even balls. Store in an airtight container, refrigerated for 1 week, or (my preference) in the freezer for a month…if they stick around that long! In a large glass mixing bowl, stir together the peanut butter, raw honey and vanilla extract. Then stir in your oats, coconut and sea salt until well incorporated and then mix in the chocolate chips. 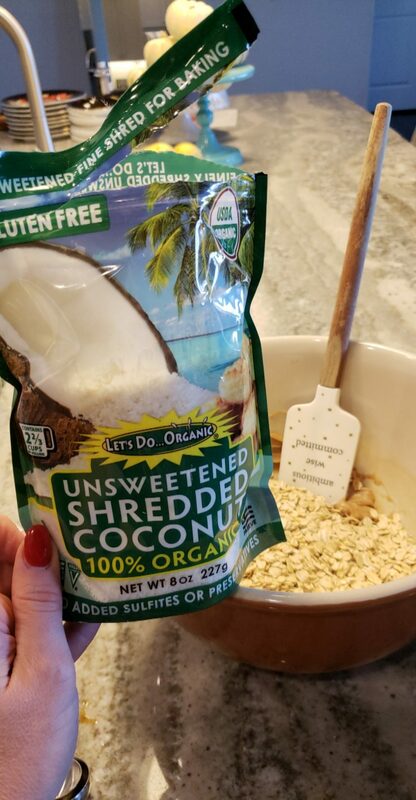 If your “dough” doesn’t hold together well when pressed into balls, add a tiny bit of coconut/almond milk, just a teaspoon at a time until it all holds together well when squeezed into a ball. 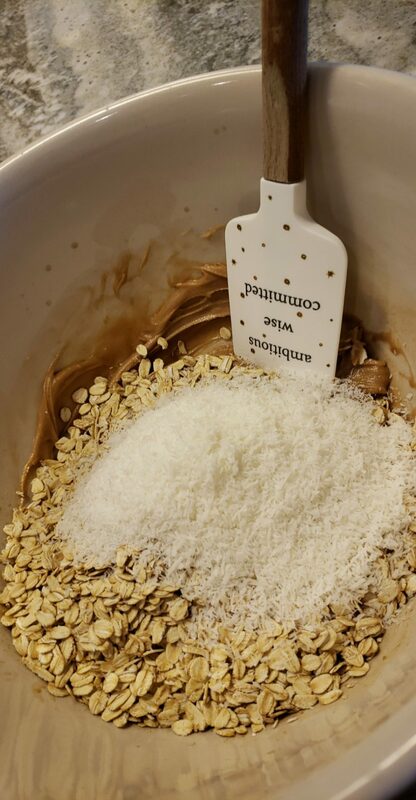 This is not an especially “doughy” mixture, almost more crumbly so you’ll need to squeeze the bites together pretty well to get them to hold together. 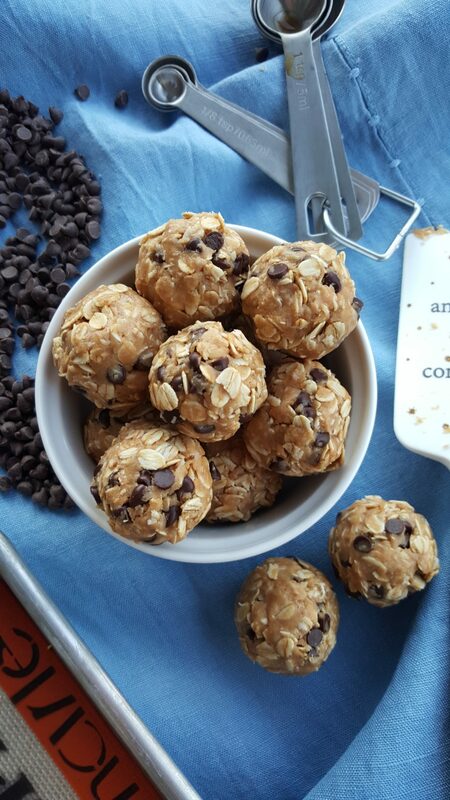 Form one inch balls by pressing about 1 tablespoon of the mixture together in your hands. 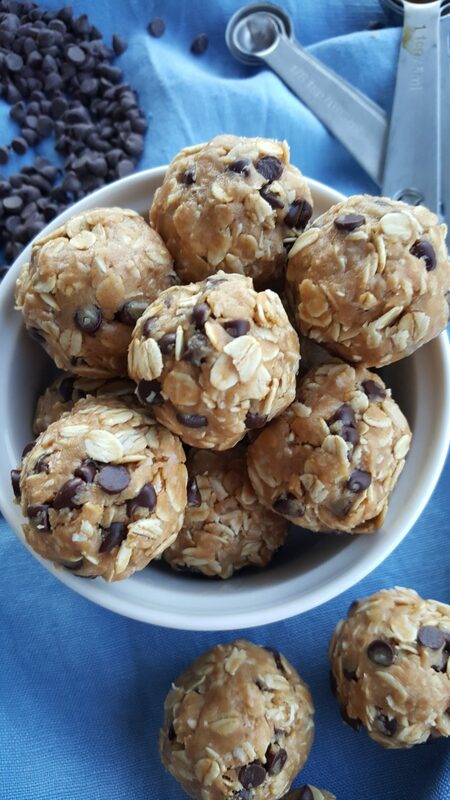 I used a Tablespoon cookie scoop to get nice even balls. Store in an airtight container, refrigerated for 1 week, or (my preference) in the freezer for a month…if they stick around that long! 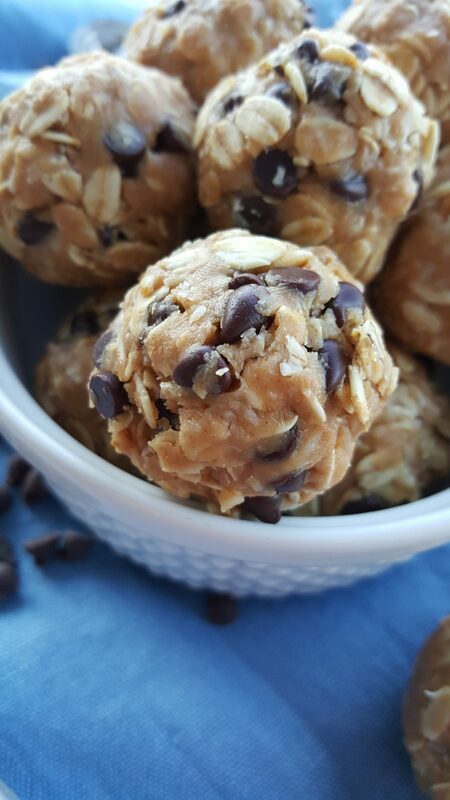 Now you’ve got the perfect Clean Eating treat ready when you want it! Enjoy and remember to tag me @CleanFoodCrush in your creations! 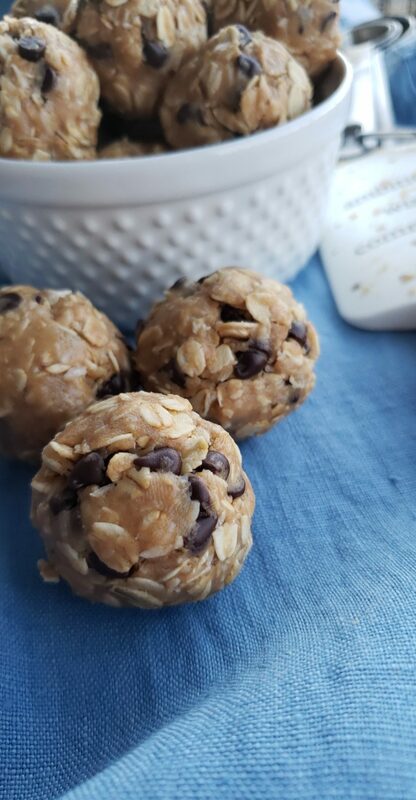 If your "dough" doesn’t hold together well when pressed into balls, add a tiny bit of coconut/almond milk, just a teaspoon at a time until it all holds together well when squeezed into a ball. 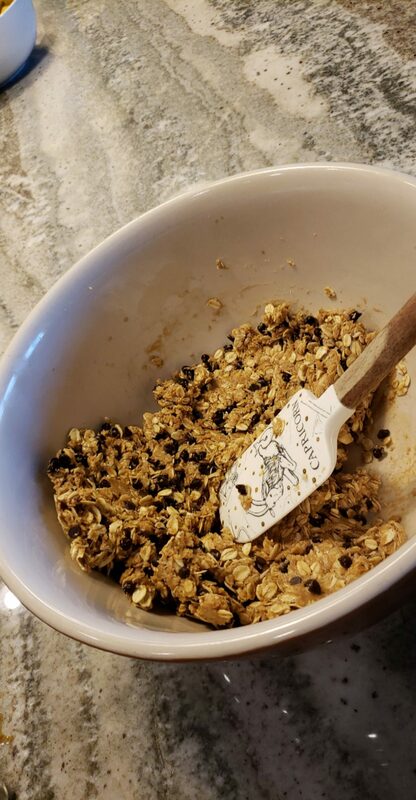 This is not an especially "doughy" mixture, almost more crumbly so you’ll need to squeeze the bites together pretty well to get them to hold together. Store in an airtight container, refrigerated for 1 week, or (my preference) in the freezer for a month...if they stick around that long!